A collection of beautiful,melodic songs by one of the greatest storytellers of our time. Grammy award nominee O.C. Smith, described as the "Most Romantic storyteller," was the lead singer for the Count Basie Orchestra before signing with CBS Records. O.C. 's has delivered over 20 nationally charted singles, including the Grammy-winning song "Little Green Apples". After CBS, O.C. united with Charles Wallert, who wrote and and the album for "Dreams Come True" which returned O.C. to the national charts. The next venture for O.C. and Charles was the "Whatcha Gonna Do" album, resulting in three nationally charted singles for a total of 40 weeks. This album gave us the all time Beach Music classic, "Brenda", which remained number 1 for 2 years. The same album gave us Beach Music hits, "You're My First, My Last My Everything" and "Spark Of Love". Additional hits such as "The Best Out Of Me" and "After All Is Said And Done", among others, established O.C. as a Beach Music Superstar. Nominated for 6 Awards at the Third Beach Music Awards, O.C. captured 5. 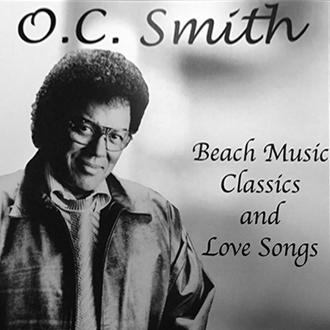 O.C was the much beloved pastor and founder of The City Of Angels Church in Los Angeles where he reached out to touch people with his music and sermons for 16 years.